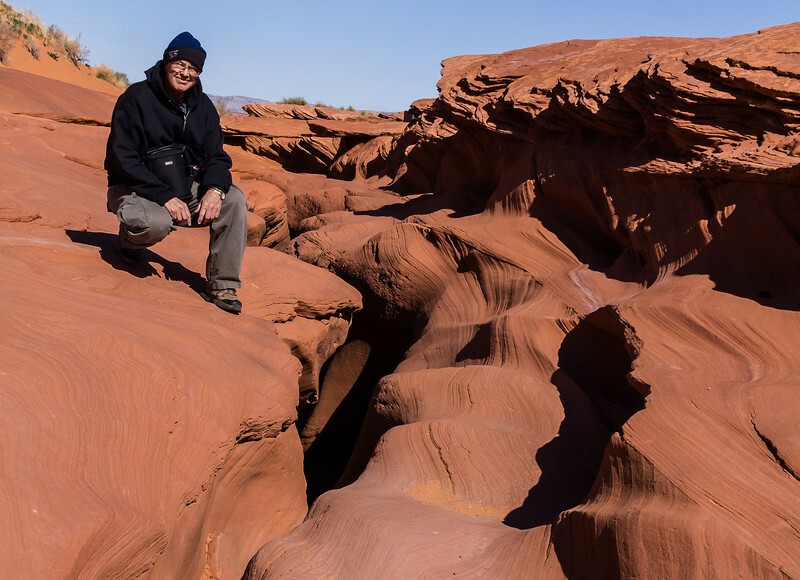 The entrance to Lower Antelope Canyon doesn't exactly jump out at you-it's the "wide" spot at the edge of my left foot. Maybe that's why it was not discovered until 1931. A drop of several feet is quickly followed by a ladder descent into the first small chamber. I am claustrophobic, but I was so amped to capture these images the tight passages did not get to me.